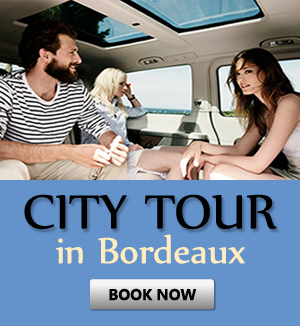 When visiting Bordeaux, you can book a per-hour car rental with driver from 2 hours/day and more. Meet and Greet service, offered by our company, will significantly simplify the meeting in the airport for the newcomers. Using a "car rental with driver" service you can vesit the places of interest, famous shops or outlets to do some shopping near the city, saving your time in this way. Bordeaux chauffeur service offered by our company will cost you much cheaper to order a car rental with driver with us than to hire a taxi driver. To book the economy car or minivan with chauffeur or a comfortable premium class car, coach, shuttle bus up to 50 seats, please choose the button. Per hour rental in the left upper corner of the page, write in the [Departure:] field the departure point and number of hours. Bordeaux is the capital of the Aquitaine region. This large but cozy town is being called the "Little Paris". 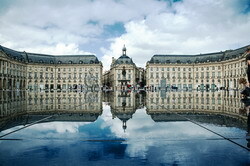 Bordeaux is also often called to be the "Sleeping Beauty " and the "Port of the Moon ". 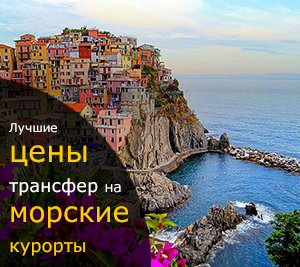 And all these titles are well-deserved, as the city is surprisingly beautiful and romantic. Being located on the banks of the Garonne, it has a rich history and beautiful botanical gardens. And of course, a special attention earns the fact that the local wines are considered by the specialists to be almost the best in the world. If you choose to have some rest in Bordeaux, you should solve all organizational issues beforehand, especially because today it can be easily done without leaving the couch. 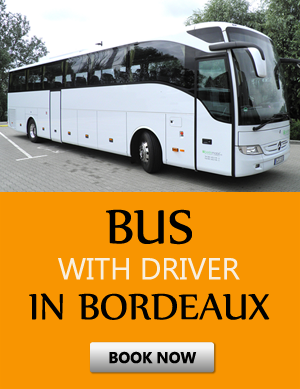 So, concerning all the issues related to transport in Bordeaux, just contact our company and order a transfer to the hotel in Bordeaux - we will provide you a comfortable car, which will take you to your hotel quickly and comfortably. 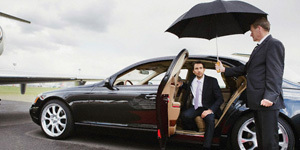 We are also ready to help you to get back from Bordeaux to the airport when your vacation comes to an end .